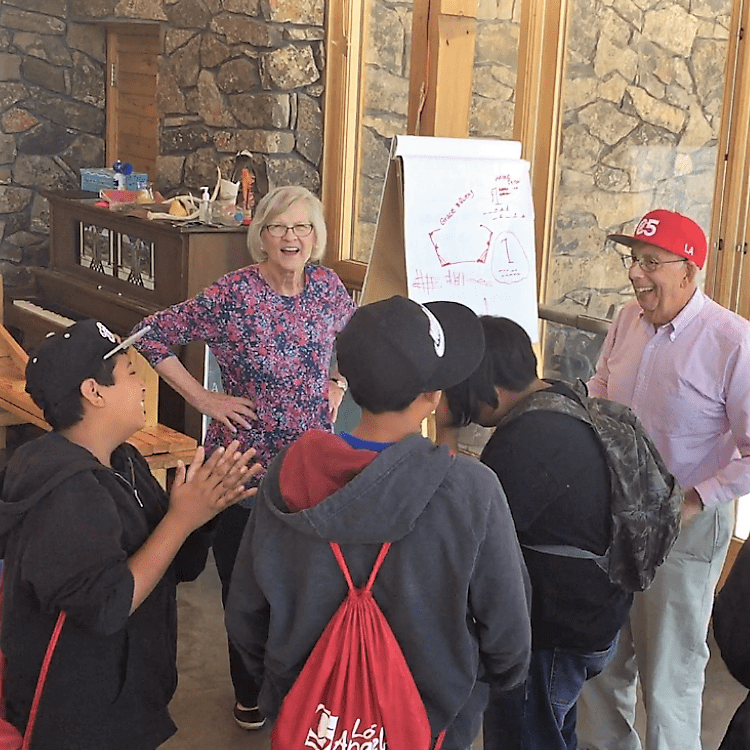 Earlier this month, CEO Larry Scherzer and EVP Carole Scherzer spent a fun-filled weekend visiting C5LA youth at Camp Paintrock in Wyoming. The Scherzers are active Board Members of C5LA, a 5-year leadership development and college preparatory program for high-potential teens from LAUSD. This October, Larry and Carole will be the honorees at C5’s 6th annual benefit event, Urban Campfire. 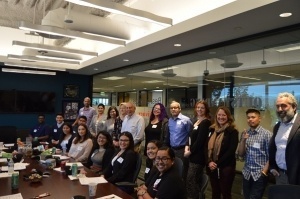 On March 28th, Scherzer International had the pleasure of hosting an amazing group of students from the C5LA Youth Foundation. The students began their visit in the company’s conference room, where managers and executives gave presentations describing their duties, their department’s role in the company, and their personal academic and career paths. The session wrapped up with a lively discussion driven by the C5LA students’ questions about background checks, running a business and innovation. Afterwards, students and staff gathered in the break room for a social lunch to get a sense of the company’s culture and work environment. After filling up on lunch and conversation, the students were given a tour of SI’s office to see what happens “behind the scenes” when preparing background reports. Our C5LA guests wrapped up their visit by hearing from our HR manager who described SI’s summer internship program, which has included C5LA students in past years, some of whom have chosen to return to SI as full time employees. Everyone at SI agrees that any one of the students who visited us in March would be a great asset to the team! Larry and Carole Scherzer both serve on the C5LA foundation’s Board of Directors and are strong supporters of the organization’s mission and programs. C5LA aims to provide underserved adolescents throughout the Los Angeles area with the resources and opportunities necessary for them to successfully pursue a college education and lead in their communities. Scherzer International makes a conscious effort to give back to the community as much as possible. The company regularly participates in fundraisers and toy drives benefiting organizations such as the Arthritis Foundation and Child and Family Guidance Center. The Swiss-U.S. Privacy Shield Framework (the “Framework”) made its debut on January 12, 2017 without much fanfare when Swiss federal councillor Johann Schneider-Ammann announced the Framework’s approval as a valid legal mechanism to comply with Swiss requirements for transferring personal data from Switzerland to the United States. The Framework, designed by the U.S. Department of Commerce (the “DOC”) and the Swiss government to align with the EU-U.S. Privacy Shield, will immediately replace the U.S.-Swiss Safe Harbor. The DOC will begin accepting self-certifications starting April 12, 2017 to give organizations ample time to review the new Framework’s principles and compliance requirements. For more of Scherzer International’s coverage of the EU-U.S. Privacy Shield, click here. UPDATE: Scherzer International is proud to have raised over $5,000 during the Arthritis Foundation’s Jingle Bell Run fundraiser this year! We’d like to express a special thank you to everyone for their donations and helping to spread the word. The event on December 11th was a great success and a good time for all who participated. Scherzer International is excited to once again participate in the Arthritis Foundation’s annual Jingle Bell Run in Los Angeles! As many of us know too well, arthritis steals everyday joys and long-term dreams. It is painful and often devastating to nearly 53 million U.S. sufferers, their families, their employers, and the economy. It does not discriminate by age, gender, race, nationality, or socio-economic status. The Arthritis Foundation exists to conquer arthritis (an umbrella term covering over 120 different forms including osteoarthritis, rheumatoid arthritis, lupus, fibromyalgia, ankylosing spondylitis, juvenile arthritis, and several others) by funding research for better treatment options and a cure; advocating for patient access to optimal care; serving as the go-to resource for patient information and education; and empowering 300,000 families and their children who suffer with juvenile arthritis. That’s why we have committed to help in combatting arthritis head-on. We invite you to join us and over 1,500 people in supporting the 2016 Los Angeles Jingle Bell Run/Walk on Sunday, December 11, 2016. For more information, please call the Arthritis Foundation office at (323) 954-5750, or e-mail cwilhite@arthritis.org. Carlie Wilhite, development manager, will be happy to help you. Your generous support is greatly appreciated. We look forward to seeing you with bells on!